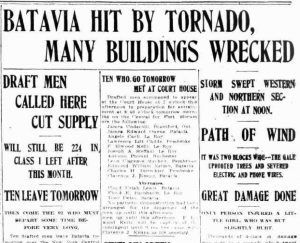 Perhaps the tornado that struck Genesee County in May, 1918 should’ve been taken as a warning of the summer to come, given that it coincided with a deadlier storm building “over there” as the Kaiser’s troops smashed through French lines toward Paris. But in that summer’s opening days, no mere tornado could quash Genesee County’s overwhelming enthusiasm for giving the Kaiser what-for. 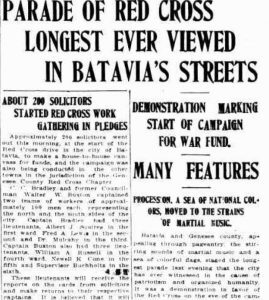 On May 21, thousands thronged to Batavia to watch Genesee County’s kickoff parade to raise donations for the Red Cross War Fund. Thousands more marched in the parade. Automobiles, floats, bands, and masses of marchers streamed continuously along Batavia’s major streets for nearly an hour. Two hundred white-clad Red Cross workers led the procession. Dozens of young women wearing veils of red, white, or blue formed an enormous “living Red Cross flag.” Another section featured 800 school girls representing the Junior Red Cross. Bands from every county town accompanied the floats and the footsteps of the marchers. There were massed ranks of social and patriotic organizations, and Polish and Italian societies. Throngs of employees of businesses and factories created floats and marched too—among them were 300 workers from Massey-Harris, another 300 from Batavia Steel Products. And the parades and rallies and calls to service kept coming. 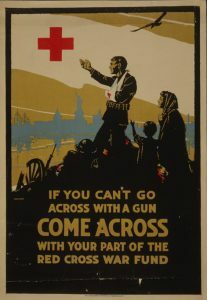 On May 26, just five days after the huge Red Cross parade, 2,000 county citizens turned out to cheer another group of draftees—97 men, the eighth contingent since last September—as they marched to Batavia’s train station to leave for Camp Dix. Four days later, on May 30, Memorial Day rallies, prayer meetings and speeches stirred patriotic fervor in every county town. 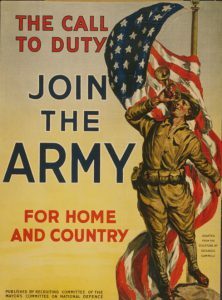 On June 1, a call went out to Genesee County boys between the ages of 16 and 21 to join the United States Boys Working Reserve, to work on farms in place of the many men who’d left for the war. On June 5, all males who’d turned 21 in the previous year were required to register for the draft. In Genesee County, 243 men reported, adding that many more to the ranks of those in line for service. Then three days later, on June 8, amid optimistic news of U.S. Marines pushing back German forces headed for Paris, a total solar eclipse on the scale of 2017’s swept across the United States, darkening the skies over Genesee County from 6:30 to 9:00 p.m. 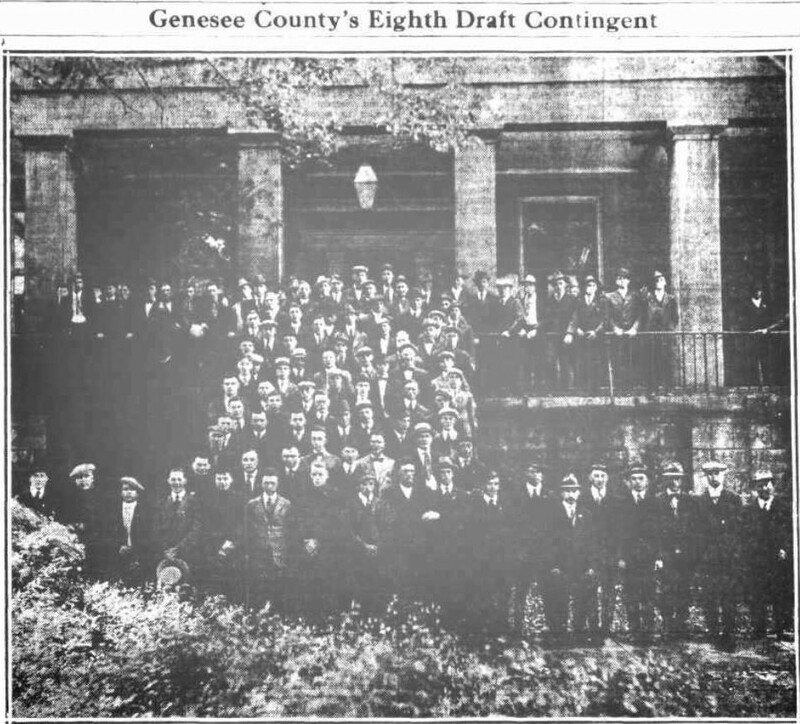 It was an event that, like the tornado, had no apparent relation to the war, and no immediate effect on Genesee County’s patriotic fervor. But in hindsight, whether foreboding omen or not, it marked a turning point, the beginning of what would become an all-too-regular occurrence over the coming months in Genesee County newspapers. Summer’s first announcement, eerily echoing descriptions of the eclipse casting shadows, appeared in the Batavia Times on June 29, three weeks later. 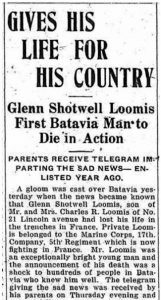 Twenty-three-year-old Marine Private Glenn S. Loomis, Batavia’s first war loss, had been killed in action on June 7—only hours before the eclipse had brought somber skies to Genesee County. 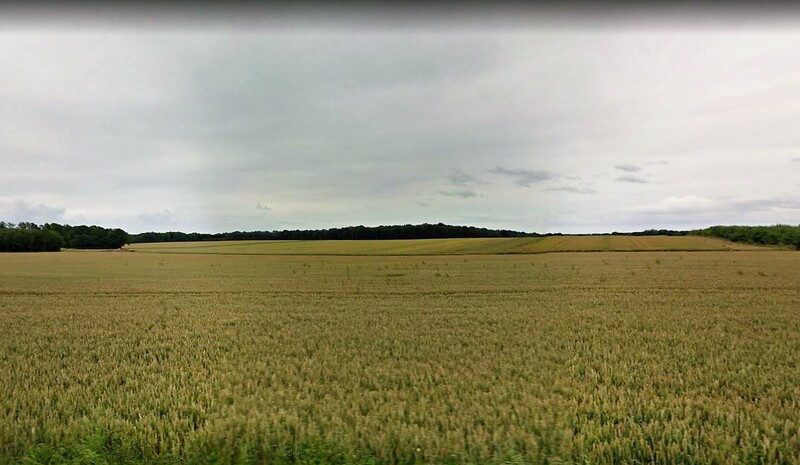 All four died in the vicious month-long fighting for a few hundred strategic acres encompassing tree-covered hills, wheat fields, and a dense, brush-entangled, boulder-strewn forest called Bois d’ Belleau, or Belleau Wood. At the end of May, the American 2nd Division, which included the 5th and 6th Marine regiments, was rushed to the area northwest of Chateau-Thierry to halt the enemy’s advance toward Paris. 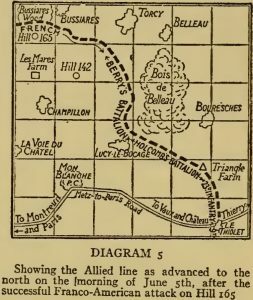 On June 1 the division took up positions west and south of Belleau Wood, where several German divisions had taken the adjacent villages of Belleau, Bouresches, and Torcy and had set up strong machine-gun emplacements in the woods and on surrounding high ground. 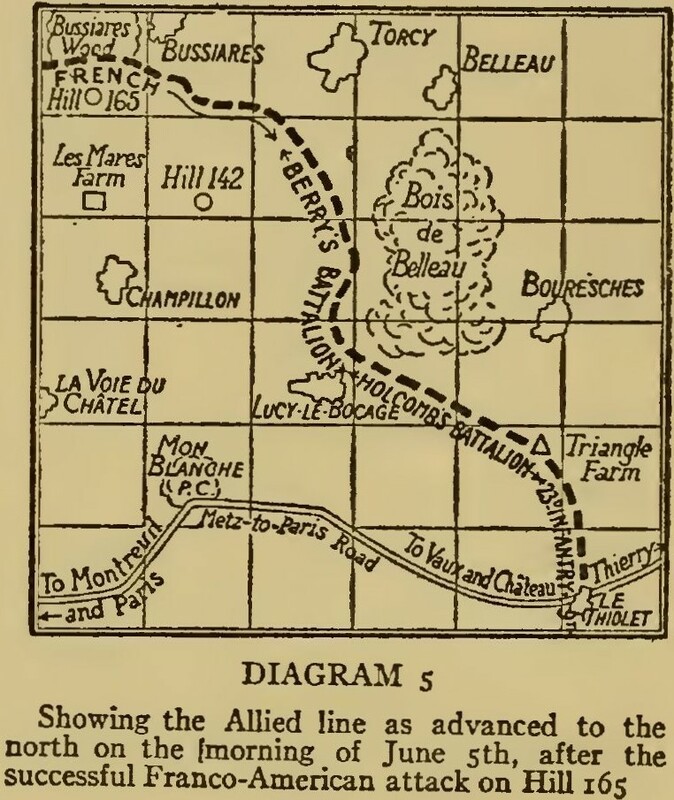 For five days the division held its ground against German attacks, stopping the advance. 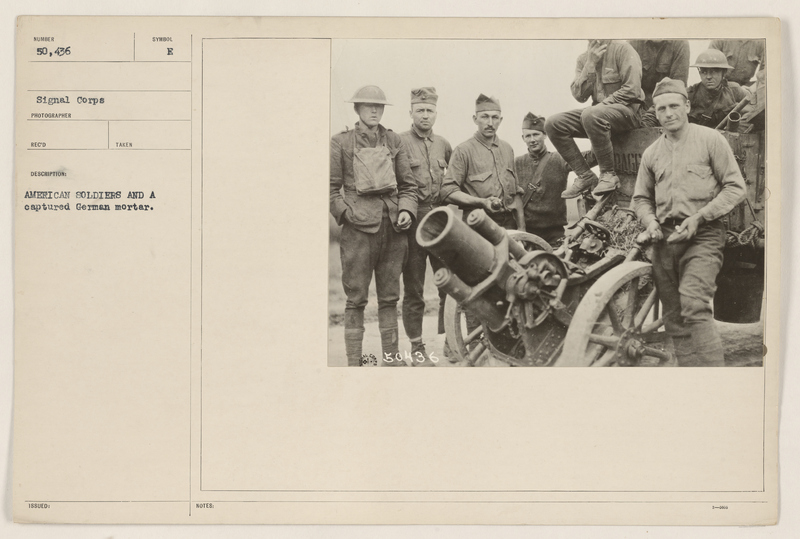 Then, on June 6, the 5th Marines’ 1st Battalion, which included Glenn Loomis’s 17th Company, launched the Americans’ first offensive attack in what would become a grueling, bloody, nearly month-long series of attacks and German counterattacks. Sweeping north from its position near Champillon west of Belleau Wood against strong machine-gun fire, advancing across a ridge, over an open wheat field, and through woods to take enemy-held high ground, Loomis’s battalion reached its objectives by mid-morning despite heavy losses and dug in, where it fought off repeated German counterattacks. 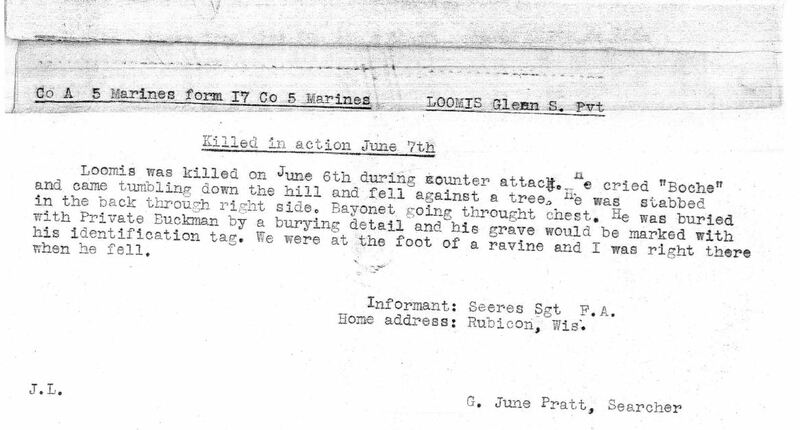 Private Loomis was killed in a counterattack sometime around midnight that evening. 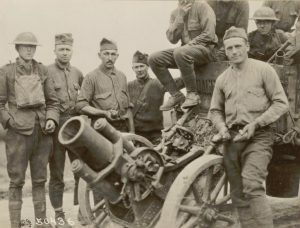 Robert Spencer’s 6th Machine Gun Battalion was in the thick of the fighting, supporting key attacks by both Marine regiments. On the day he was killed, the 6th Marines were attacking north into the center of the woods. Spencer’s 17th Company was providing concentrated fire, despite heavy shelling all day from enemy artillery and minenwerfers (heavy trench mortars). William Bray and Glenn Loomis were classmates at Batavia High School, and graduated together in 1913. 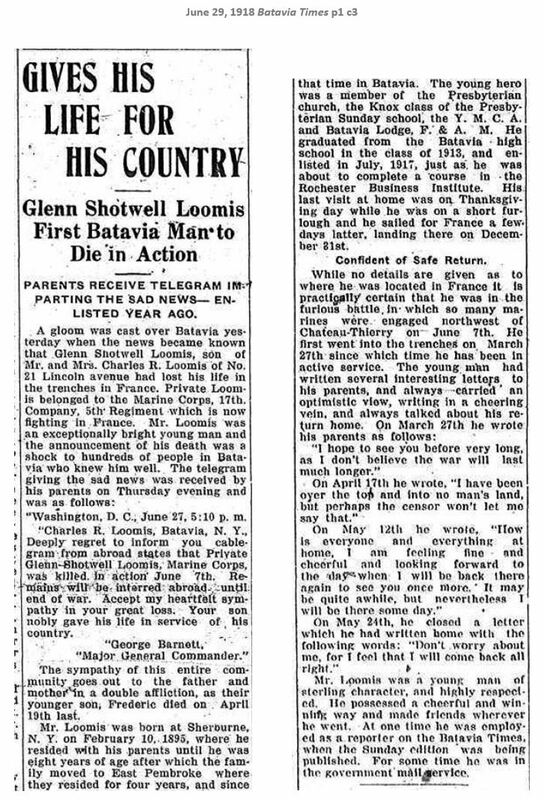 They surely knew one another, and because Bray’s 51st Company had assisted in the June 6 attack in which Loomis was later killed, it is likely that he was aware of his schoolmate’s death as he lined up with his company, five days later, for another assault on Belleau Wood. 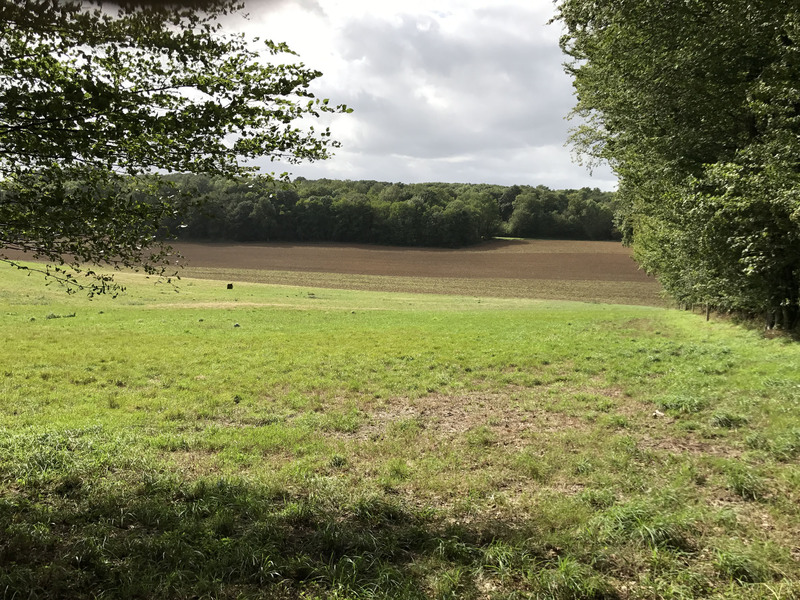 Contemporary view of June 11 attack launch point; Belleau Wood in distance. By the time the battalion reached the edge of the woods, Bray’s 51st Company had been virtually wiped out. According to one official account, only one officer and 16 men were left. The battalion as a whole that day lost six officers and 176 men killed or wounded. 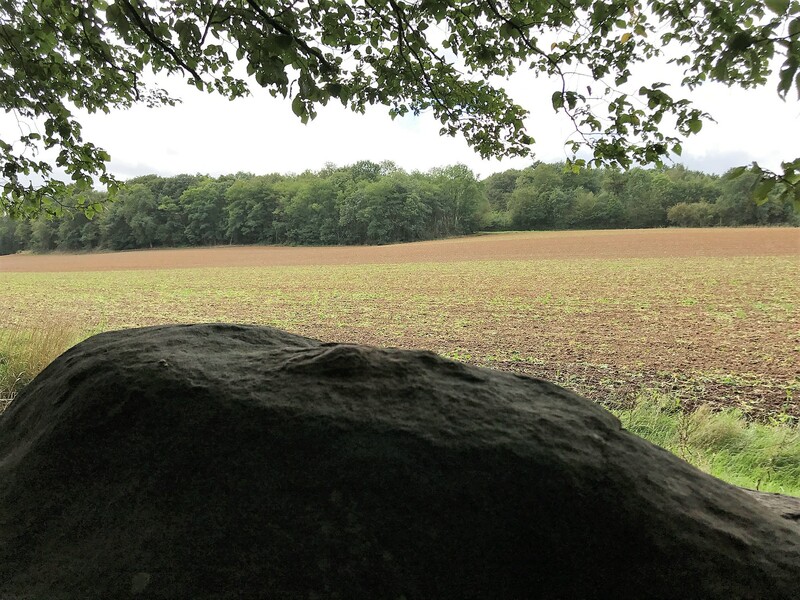 Typical German defensive views from western edge of Belleau Wood. 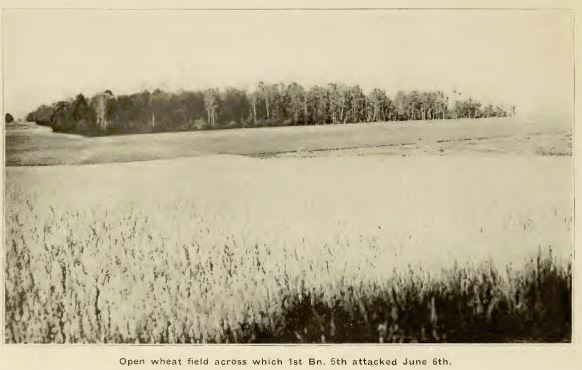 By June 15, after two weeks of repeated attacks and German counterattacks for possession of the woods, the 5th and 6th Marine regiments had taken 2,400 casualties, including at least 567 killed. 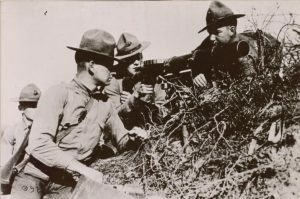 To give them much-needed rest, all units were temporarily relieved by the 3rd Division’s 7th Infantry—all, that is, except the 6th Machine Gun Battalion, including Hiram Luhman’s 23rd Company, which was needed to help the 7th Infantry hold the territory the Marines had taken. Hiram Luhman had turned 18 less than two months before he was killed. 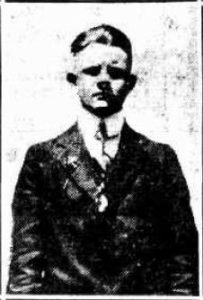 He was one of the earliest Genesee County soldiers to enlist—barely three weeks after the U..S. had entered the war, and just one day after his 17th birthday. 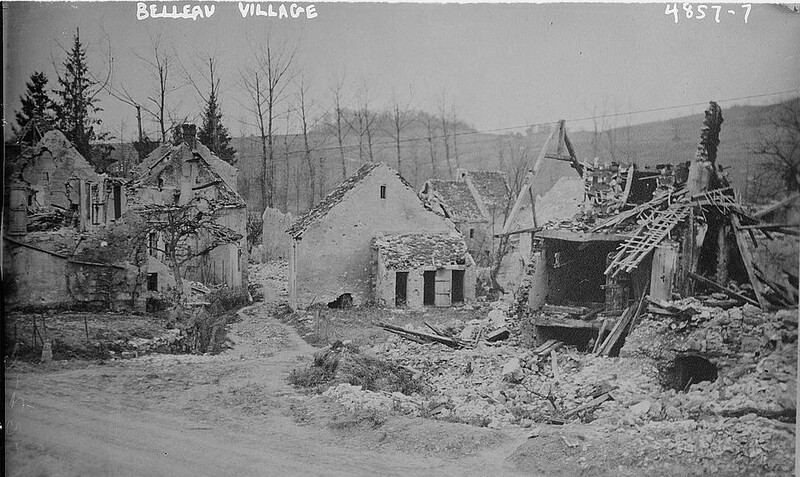 The ruins of Belleau following the summer’s fighting. 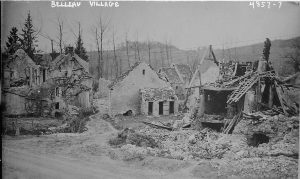 There would remain scattered skirmishes and additional casualties, and in July more intense combat by the relieving 26th Division to drive the enemy from the village of Belleau itself and from Germam strongholds in surrounding territory and towns. The Battle of Belleau Wood had been won, but at horrific cost. In the one-month battle for possession of a faraway French forest, 665 American Marines had been killed, and another 3,633 wounded. In all, the casualties suffered by the 2nd and 3rd Divisions involved in the fighting totaled nearly 10,000 Americans killed or wounded. 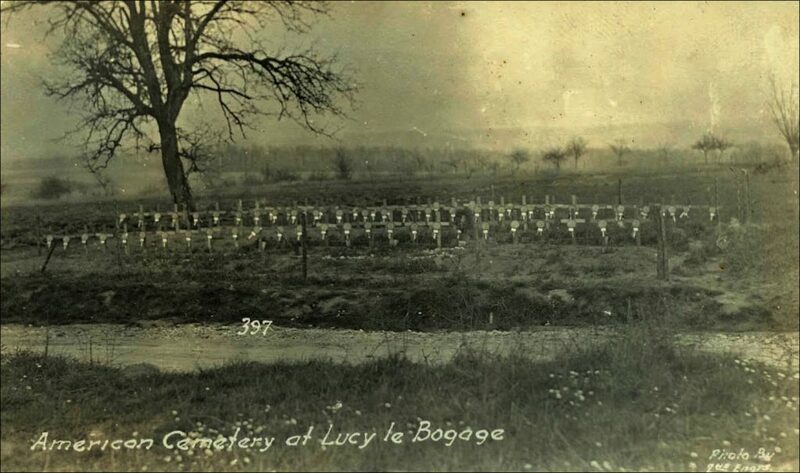 One of several temporary American cemeteries after the fighting at Belleau Wood. 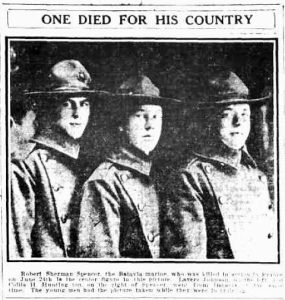 At home in Genesee County, regardless of enthusiastic media reports of Allied victories abroad, the news of the four local mens’ deaths in June cast a shadow that would lengthen all too painfully over the coming months. Day after day that summer and fall, more sad announcements would appear in local newspapers. The toll grew. By the end of August, ten more Genesee County men had perished. 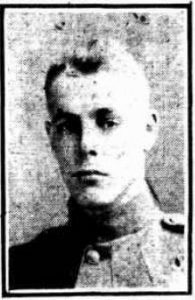 July 15, 1918 – George K Botts of LeRoy, killed in action near Fossoy, France. 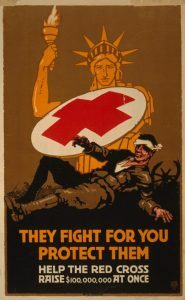 Retrieved from the Library of Congress: “They Fight for You,” W.G. 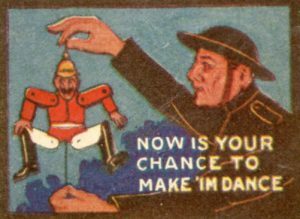 Sesser, artist (https://www.loc.gov/item/00652359/); “Come Across,” C.W. 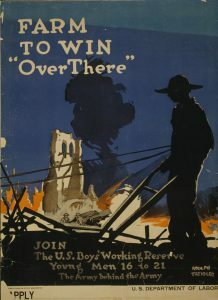 Love, artist (https://www.loc.gov/item/2002719758/); “Farm to Win,” Adolph Treidler, artist (https://www.loc.gov/item/2002722582/); “The Call to Duty: Join the Army,” Edoardo Cammilli, sculptor; “Belleau Village” photo, Bain News Service (https://www.loc.gov/item/2014708557/).